Made and signed by Samuel Small (1814-1902) Sam was the youngest of several generations of Smalls who worked in Columbiana County Ohio. 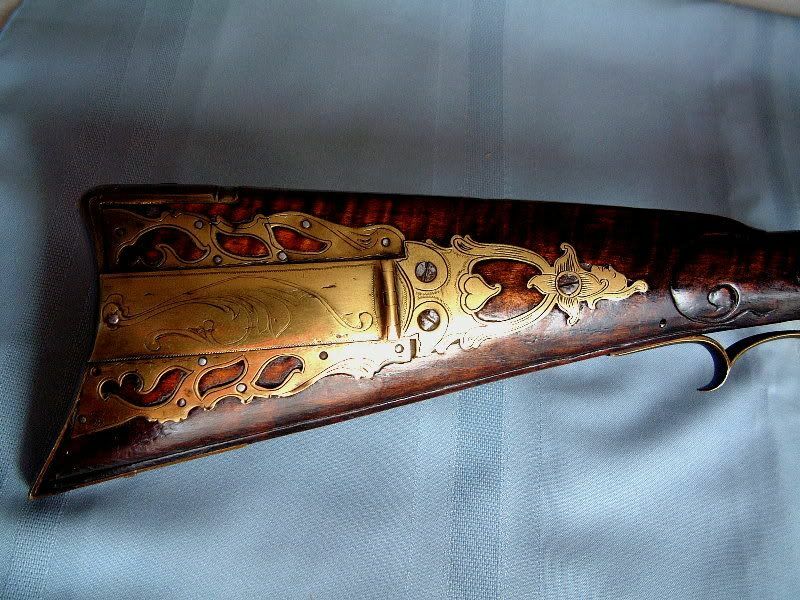 The Small family was a group of very hard working gun makers and many examples exist from plain “work guns” to highly embellished top end pieces. This half stock rifle features a 36” straight barrel of about 32 cal. The stock is curly maple, all the furniture is brass. This gun has a large cap box with a small amount of engraving. The gun also has double set triggers and a lock that appears to be a commercial item with stamped engraving. The lock maker is not readable. The gun is signed S SMALL in large block letters in the usual position on top of the barrel behind the rear sight.